It is our privilege to be hosting the Asian Youth Leaders Travel and Learning Camp (AYLTLC) 2018 for the 7th time here in Singapore. AYLTLC aims to bring student leaders worldwide, through engaging activities, to enhance their abilities in cross-cultural interaction and cooperation, which will further equip them to be effective leaders. 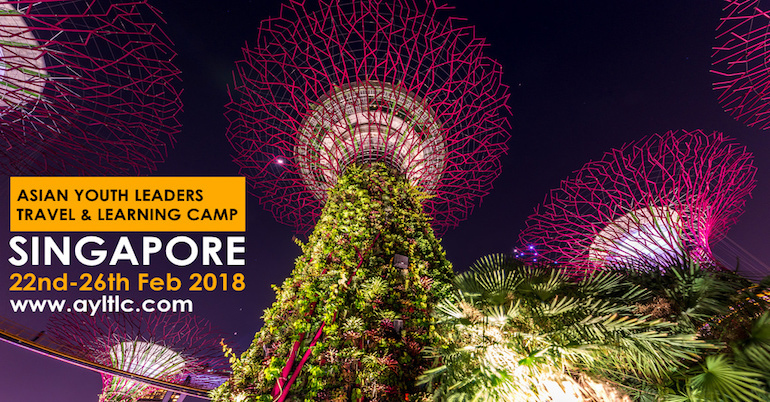 In addition, participants will be able to understand more about Singapore – a multiracial, multilingual and multicultural society from various perspectives. Nevertheless, what they will learn here may not only be unique to Singapore, but also applicable to their home countries as well as the increasingly interconnected and interdependent world. Students aged 16-26(at least 16 but not older than 26 of age at the time of AYLTLC 2018) from schools, colleges and universities around the world.